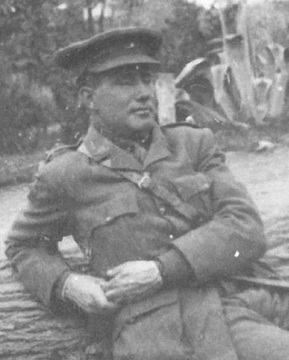 Lieutenant Robert Goldthorpe Raws (Australian Infantry) is killed in action at age 30. He is survived by his older brother who will be killed within a month while serving in the same regiment. The brothers are the subject of the book “Hail and Farewell, Letters from two Brothers killed in France in 1916”. Major Alexander Icely Drysdale (Royal Field Artillery) is killed in action at age 35. His brother was killed in September 1915. Captain Ian Osborne Crombie (Middlesex Regiment) is killed at age 21. He is the first of three brothers who will be killed in the Great War. Chaplain Edward Keightley Botwood dies of illness contracted on service at home at age 44. Private Henry George Woolger (Middlesex Regiment) is killed at age 23. His brother was killed less than two weeks earlier. Private Nelson Noakes (Australian Infantry) dies of wounds the same day his brother Private Albert T Noakes (Australian Infantry) is killed in action. Private Robert Eric Penty (Australian Infantry) is killed at age 26. His brother will be killed next January and they are sons of the Reverend Robert Penty Vicar of Taralga New South Wales. Robert is an Australian Great War Diarist. Private Robert Prowse Hearn (Royal Fusiliers) dies of wounds at age 30. His brother will be killed in October 1917. Private Frederick Joseph Thelwall (Cheshire Regiment) dies of wounds at age 23. His brother will be killed in October 1917. Private Walter L Blunt (Middlesex Regiment) a professional footballer is killed at age 19. His brother will be killed next July. Private Albert Scott (Australian Infantry) is killed in action at age 19. He has two brothers who are also killed in the Great War.